The country has been in a state of war and chaos since 1991 when dictator Mohamed Siad Barre was toppled. 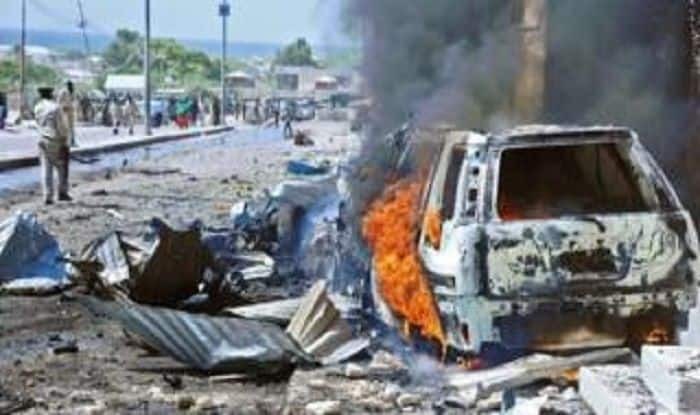 Mogadishu: At least 12 people were killed and 15 injured in a car bomb explosion near the Governor’s office in the Somali capital on Monday. Police officer Mohamed Abdelkadir, who was at the scene of the incident, confirmed the figures shortly after the blast in Mogadishu’s central district of Hamar Weyne, Efe news agency reported. This attack came after at least seven people were killed and five were injured on January 29 in two car bomb explosions in Somalia’s restive capital. UN Secretary-General António Guterres condemned the move, along with 15 members of the Security Council, and said a new UNSOM special representative would be chosen as a replacement in due course.